In an interview with BBC Newsnight on Monday, the veteran Eurosceptic, who served as chancellor of the exchequer from 1983 to 1989, said that staff at Whitehall are loath to carry out radical change. “Brexit is a most radical change of direction for this country,” Lord Lawson said, asserting that “Bureaucrats by their very nature loathe radical change of any kind”. “The officials will do their best to frustrate this process because it goes against the grain so fundamentally. But they equally realise their constitutional duty to accept the leadership of the politicians, of the elected government,” he told Newsnight. 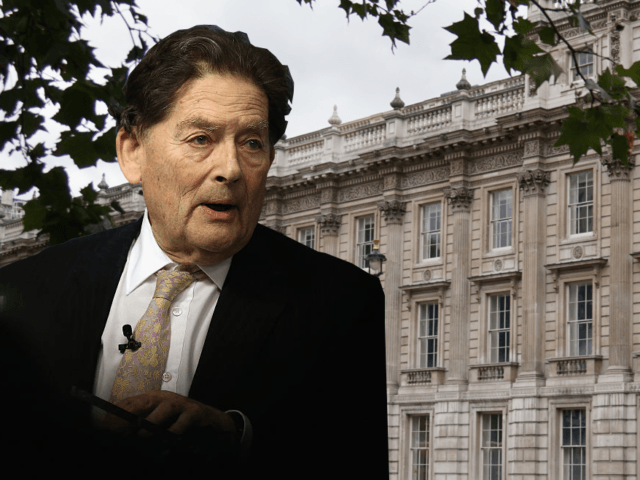 Lord Lawson said his experience serving in Prime Minister Margaret Thatcher’s government showed that only with strong political leadership will civil servants carry out a transformative agenda. “We came in and introduced radical change in economic policy. All the officials were aghast. They thought it would be a disaster,” he said. “But at that time we had a strong cabinet led by an outstanding prime minister and they accepted the political leadership as is their constitutional duty. “So we made this radical change and it worked out very well. It is really the job of the government, the cabinet, and above all the prime minister to force this through,” Lord Lawson told the BBC. A tweet sent by HM Treasury’s former permanent secretary, Nick Macpherson, just hours after Newsnight was broadcast appeared to lend weight to the senior Tory’s remarks. Macpherson, who was the Treasury’s most senior civil servant, hinted that Britain is heading towards a very “soft” Brexit in which the nation will remain chained to Brussels. 1/2 A reason for cautious optimism. What HMG has said and what it has done on EU negotiations are very different. Breitbart London has reported extensively on the UK establishment’s determination to slow, stop, and otherwise frustrate Britain’s exit from Europe since the historic referendum in June 2016. In December, it emerged that HM Revenue & Customs hit Leave campaign donors with six and seven-figure tax bills, despite political contributions usually being exempt from such charges, while leaving the powerful multinationals and giant banking corporations which served as Remain’s major backers unscathed. Earlier this month, Brexit leader Nigel Farage said the establishment is “in denial” about voters’ desire to leave the EU.